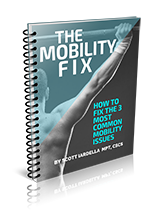 Carl Paoli is this week's guest and he's the author of an amazing new book titled "Free+Style: Maximize Sport & Life Performance with Four Basic Movements." Carl is a former elite gymnast and has incredible experience in movement and performance based training. He's also the creator of GymnasticsWOD.com and he's an innovative strength and conditioning coach, as you'll discover in this interview session. Phil Scarito is a coach, trainer, and Strong First Master Kettlebell Instructor. 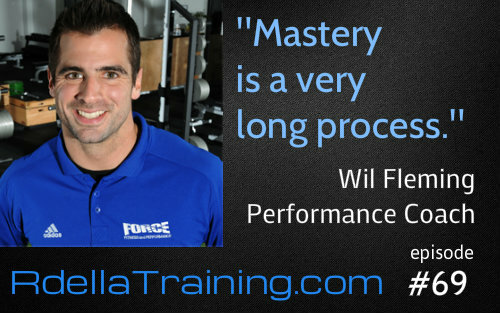 Phil has extensive experience teaching many top level kettlebell certifications, workshops, and clients of all levels. He's also been fortunate to learn and train with the likes of Gray Cook, Brett Jones, Marty Gallagher, Pavel Tsatsouline, and many others. In this week's episode we covered many different topics related to strength and performance. 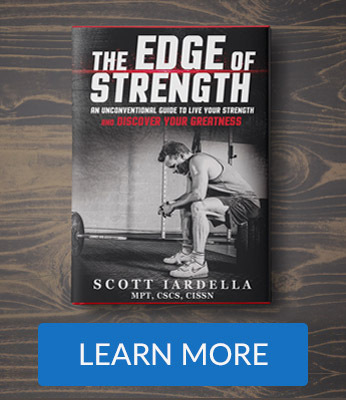 Josh Bryant is the author of 4 great books, he's a strength athlete, and a premier strength coach and trainer. 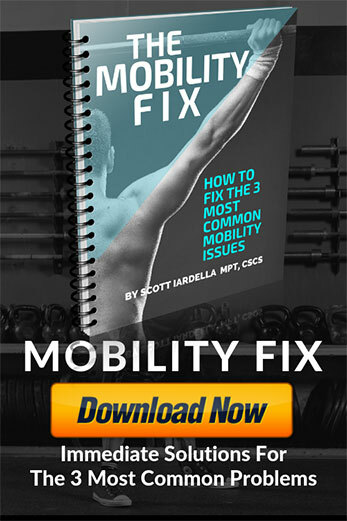 In this week's podcast episode, I spoke to Josh about his great new book "Built to the Hilt" which has already been called "one of the best strength training and muscle building books ever written." We discussed his approach to strength training and muscle building in an information packed session that you have to hear. Listen all the way through to the end to find out how YOU can WIN a FREE copy of Josh's new book! "De-loading" is a part of every successful training program. Listen to this important episode and find out how to effectively "de-load" so you don't sabotage your own training. 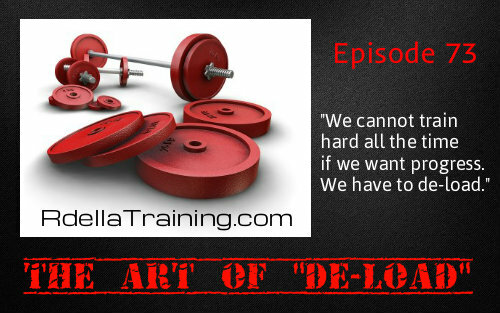 In this week's show I discuss the importance of "de-loading" to accelerate your training performance. You'll get the very latest in Sports Nutrition from this year's annual Sports Nutrition conference. The annual meeting was another amazing year of topics and updates in nutrition and performance training from the International Society of Sports Nutrition. While I couldn't cover everything that was presented in this great 2 day meeting, I'll share many of the highlights in this episode. Definitely listen all the way through and consider what you can apply in your training and nutrition. 18 Jun RT 071 | Do We Really Need Supplements? Do we really need supplements? That's the question I openly discuss in this week's short podcast episode. Sports nutrition and supplementation can be a debated and polarizing topic. 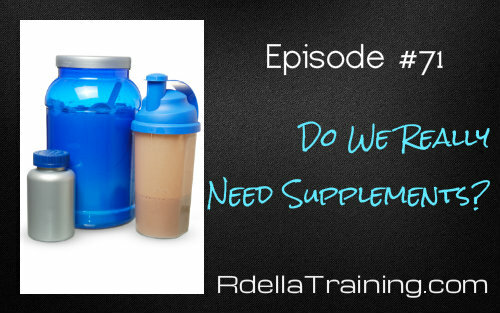 Do we really need to take supplements to improve our training, performance, health, and body composition? I'll give some quick perspective on that and tell you about what's coming, as we'll dive much deeper into that question and topic in future episodes. In this episode, I'll share key technique tips to improve your performance and results with kettlebells. These tips are beneficial for beginners through advanced and will help to reinforce your skills and techniques. Kettlebell training offers a long list of strength and conditioning benefits, but it's important to use the tools properly to maximize results. I'll give you simple tips you can apply immediately in your training, so be sure to listen all the way through. In this week's episode, I openly share my own training mistakes and failures. These 7 things are the top reasons I failed to make progress for many years in my own training. Learn from my mistakes. Listen all the way through this important episode and learn how to accelerate your progress and avoid the pitfalls of exercise and nutrition. Peak Performance coach and expert Dan Gonzalez joins me for this week's podcast episode to discuss the mindset in peak performance. Dan is the author of a best selling book called "The Art of Mental Training." In the book, Dan explains and teaches the important psychological skills required for peak performance and mental toughness. I'm honored to get Dan on the show to discuss his unique experiences in peak performance training where he has worked with top athletes, executives, pro-fighters, and many other professionals since 1988.